Many successful commercial real estate investors find their most profitable, cash-flowing deals out of state. Unfortunately, out of state deals can also be the biggest headaches and the biggest financial losses. This blog is meant to help you differentiate between a good deal and a bad deal. 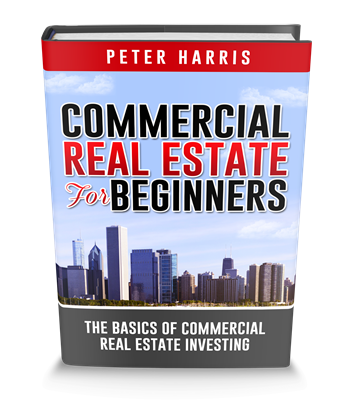 These tips will also teach you to stay on the successful side of purchasing commercial real estate out of state. A 12-unit C-class apartment building in San Francisco, CA will cost you roughly $7.5 million, but a 12-unit C-class apartment building in Dallas, Texas will cost you roughly $1 million. This means that if you take your California money to Dallas, you can buy an 80 to 150-unit apartment building. This is a huge difference in affordability. Some of our students have a goal of building a portfolio of 1,000 apartment units in five years, through syndication. This would be rather difficult to achieve due to affordability. But this goal is highly achievable in a more affordable state. A lot of investors do not want their real estate holding all in one area, so they search out for good, economically sound, and growing areas. There is no such thing as a national real estate market. It is all about sub-markets when dealing with commercial real estate. The Portland, Oregon sub-market, is completely different from the Portland, Maine commercial real estate market. Just because one area in the US is at the top of the market cycle, doesn’t mean every other area is. It is smart to diversify your holdings into economically stable areas. There is never a situation where it is wise to purchase a commercial real estate property without seeing it first. In most cases, commercial real estate investments are the biggest financial investments people have ever made. It would be very foolish to invest so much money into a property, you haven’t physically been to. It is irresponsible and poor stewardship. Purchasing a property you have never seen is a very risky business. In residential real estate such as: single family homes, duplexes, triplexes, or fourplexes, most states require the seller to provide a property disclosure with a list of anything wrong with the property. If the seller lies on this disclosure and you find out after closing, there’s recourse, and you can sue. In commercial real estate there are no consumer protection laws like that. There are no property disclosures required by law, it is purely buyer beware. If you want to invest in commercial real estate out of state without traveling, here are two alternatives. 1. Let someone do the investing for you. Syndication is the process of pulling money together to buy a property larger than you could afford by yourself. Syndicated deals happen all around the world. You could live in Hong Kong and invest in a syndicated deal in Phoenix, Arizona. With Syndication you are basically a passive investor that invests money for a return on investment on that money. I have a Youtube Video and Podcast on, “The Basics of Real Estate Syndication”. 2. The second alternative is to invest in a REIT. A REIT is short for Real Estate Investment Trust. A RIT basically buys large commercial properties and forms a company that sells shares to investors. You can literally invest in a brand new 300,000 square foot downtown office building from your computer. You act as a type of shareholder in the company, like a stock. 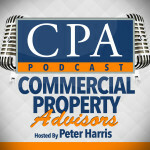 I have a YouTube and Podcast on REIT if you want to learn more about them. When you purchased your home, you had guiding principles that helped you find what you were looking for. You knew the neighborhood you wanted to be in, the number of bedrooms you needed, and even the amenities that you wanted. You also need a set of guiding principles if you are investing out of state. 1. You need 10% cash in cash return. This should be the minimum number on any out of state deal. If it’s less than 10% and there are some vacancies or needed repairs, you risk breaking even or having negative cashflow. This is not a problem you want to have from far away. 2. The second guiding principle is to have a property management company that is well vetted, proven, and have other happy investors as clients. You need to lead your search with the property management company. 3. The third guiding principle is population. It is okay to invest in a small population, but the surrounding cities must be healthy and growing. These bigger cities help support the small city, hence providing it with a healthy flow of renters. Do not invest in a small rural town in the middle of nowhere with no big cities to support it. 4. Invest in cities that are investor and landlord friendly. Cities that have very expensive eviction costs are not conducive to successful investing. Out of state commercial investors need to purchase a property that’s big enough to afford a professional property management company. You cannot manage it from afar yourself, especially if you’re a beginner. Some people try self-managing because they think they can save money, but being that cheap can actually be very expensive. A beginner investor doesn’t have the necessarily skills needed to manage the money, maintenance, and marketing. The best deals our students find are actually from out of state owners who chose to self-manage and failed. Despite the property’s enormous profit potential, the owner wants out due to poor management. Look for deals that were self-managed by out of state owners. These people are not in good shape and are eager to sell. You need to evaluate a deal thoroughly and also do your due diligence. One of the most misunderstood and miscalculated numbers that causes failure in commercial investing is property expenses. Property expenses are operating expenses that recur, every month. This number also include capital expenses like roofs, parking lots, siding, and major property updates. If you evaluate a property that has failed, you can typically find the spot where the owner misunderstood or miscalculated, because he or she didn’t have the necessary advisers or expertise. You can overcome this potential problem by acquiring a mentor who is willing to share their knowledge. You need to have expert due diligence. Due diligence is doing your homework on the property physically, financially, and legally. It is super important, but it becomes ultra-important when buying property out of state because you are unfamiliar with the area and all of the inner workings of that area. 1. You must be at the property during the inspections. 2. It is important that your property manager is also there. 3. Get familiar with the property market by doing a rent survey by yourself or you can have your property manager do it. It is important to understand the vacancies, expenses, landlord laws, and trends. 4. Develop contractor relationships. This is especially important when investing from afar. Get a coach that can sit down and share the inner workings of the industry. You need to realize and acknowledge that this is a team sport. It is very risky to try to invest in commercial real estate on your own. You need a coach or mentor to help you step by step and also protect you from common mistakes. Good truthful and practical knowledge. Thank you .